Dalal Hanna, a National Geographic Explorer, PhD. Candidate, and canoe expert, is the perfect fit for the ecologist position on the Magpie River Adventure. We developed the concept of an ecological guide as a way to bring guests closer to nature. Having an expert on the trip who understands the science behind the Magpie and the Boreal Forest and who can answer questions about the plants and animals they see along the way, is the best way for people to learn about and connect with the surrounding environment. Hanna is a freshwater ecologist in the middle of her doctorate at McGill University. 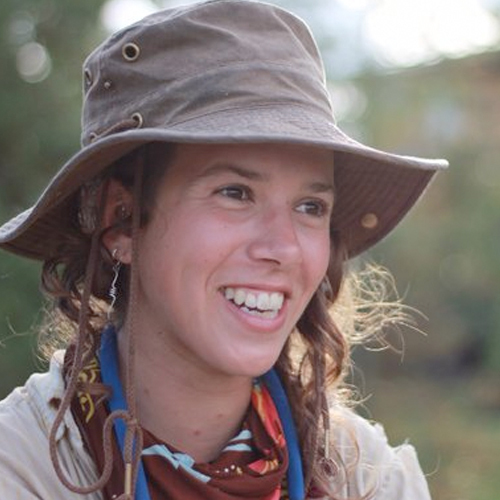 Long before she became an expert in Quebec’s freshwater supply, she was a summer camp kid who explored the waterways of Gatineau, Quebec by canoe. Her ultimate canoe trip was in 2011 when she and group of friends spent 6 months paddling from Ottawa to Inuvik. She returned from the trip, completed her undergraduate degree in environmental science and began a master’s degree in biology. To help fund her research she applied to a National Geographic early career grant. This helped fund her study of mercury levels in fish in Africa. She then turned her focus homeward and began looking at Quebec’s freshwater. She hopes to share that passion with Boreal River guests. Apart from being able to answer questions about virtually anything guests see along the river and showing them edible flora, Hanna hopes to impart the importance of watersheds, ecosystem balance, and how forests house incredible stores of carbon and their influence on global climate. For your chance to travel one of the world’s great pristine rivers, join the Magpie River Adventure.